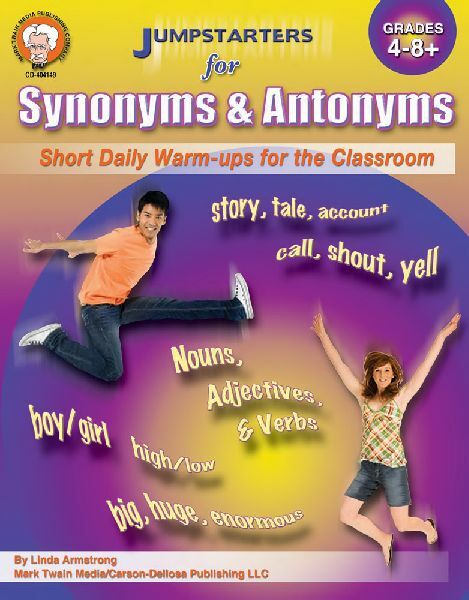 Annotation: Foster a love of language with students in grades 4 and up using Jumpstarters for Synonyms and Antonyms: Short Daily Warm-Ups for the Classroom! This 48-page resource helps students recognize and comprehend words in the context of “similar and opposite” to expand vocabulary for better reading and writing skills. It includes five warm-ups per reproducible page, answer keys, and suggestions for use.